1. How prescient of me to headline yesterday’s warm-up “Deranged” before Justice Kennedy announced his retirement and the progressive/Democratic/ mainstream media/social media freakout commenced! Justice Kennedy is 81. As my dad used to say when he entered his 8th decade, he’s in the red zone, and can drop dead at any second. Did Democrats really assume he would keep working forever? Their shock at this is ridiculous and unbelievable. WHAT? An 81-year-old judge is retiring? This is a wonderful example of how people assume that everyone else thinks as they do. The Trump-Deranged have reached the point where they would saw their pets in half to undermine the President, so they assume that Kennedy feels the same way. There is no evidence that he does, in part because, unlike Ruth Bader Ginsberg, who has periodically trumpeted her contempt for the President, he has been judicially discrete and professional. It is per se irresponsible for an 81-year-old in a challenging job with national impact not to step down before he or she becomes incompetent, or drops dead. Scalia was irresponsible not to retire. Ginsberg should retire (she is 84). Breyer is two months short of 80: he should retire. Outside of judges, we have multiple members of Congress, notably Pelosi and John McCain, who are being unethical by not stepping aside. The bottom line is that nobody should be freaking out, because everyone should have been prepared for it. “We are all acutely aware of the enormous controversy and chaos that attended the issuance of the Executive Order. People contested the extent of the national security interests at stake, and they debated the value that the Executive Order added to our security against the real suffering of potential emigres. As tempting as it is to use the judicial power to balance those competing interests as we see fit, we cannot let our personal inclinations get ahead of important, overarching principles about who gets to make decisions in our democracy. —-Five judges of the U.S. 9th Circuit Court of Appeals (Judges Jay Bybee, joined by Judges Alex Kozinski, Consuelo María Callahan, Carlos Bea, and Sandra Segal Ikuta, attacked what Bybee called the “fundamental errors” in the February decision of a three-judge panel upholding the temporary restraining order that blocked President Donald Trump’s first executive order temporarily halting immigration from seven Muslim-majority countries. The opinion denounced the panel’s ruling as a “clear misstatement of law,” and stated that the five, constituting a larger number of judges than the three judge panel whose contrary holding was described as a “unanimous” 9th Circuit decision, had an”obligation to correct” it for the record. “We are judges, not Platonic Guardians. It is our duty to say what the law is, and the meta-source of our law, the U.S. Constitution, commits the power to make foreign policy, including the decisions to permit or forbid entry into the United States, to the President and Congress,” the five judges stated. Currently, the President’s revised order is held up by an even more widely criticized temporary restraining order issued by U.S. District Judge Derrick K. Watson. As well as following many of the same lines of activist judicial reasoning the five judges criticized in their dissent, Judge Watson’s opinion heavily relies on the campaign rhetoric of President Trump and statements by chief aide Stephen Miller in TV interviews. This means, as several critical legal experts including Alan Dershowitz have pointed out, that the exact same order, if issued by Barack Obama, would not have been blocked, and would have been found Constitutional. Now that’s a double standard! A Question For The Zimmerman Verdict Protesters: What Do You Think You’re Protesting? The protests of the George Zimmerman acquittal taking place around the country on campuses and cities has been largely peaceful, which is something, I guess. Nonetheless, pointless and misguided protests are, in my view, unethical, as those of you who recall my posts about the Occupy movement will recall. They waste public resources, inconvenience bystanders, and risk violence, not to mention trivializing a key tool of democracy. If you are going to demonstrate, you are ethically obligated to have your facts and grievances straight and clear, and a practical objective in mind. By this measure, the post-verdict “Justice for Trayvon” protests fail. What do protesters mean when they chant, “Justice for Trayvon,” now? What do they want, and why do they think it is reasonable to want it? I have listened to and read so many radio hosts, talking heads, experts, lawyers, activists, callers, friends and relatives on this story, and the truth is this: those who are angry about the verdict and want to sign petitions and carry placards about it cannot articulate a single legitimate reason that is supportable by fact or law. Not one. I say this not because I am a “Zimmerman supporter.” I am not a Zimmerman supporter. 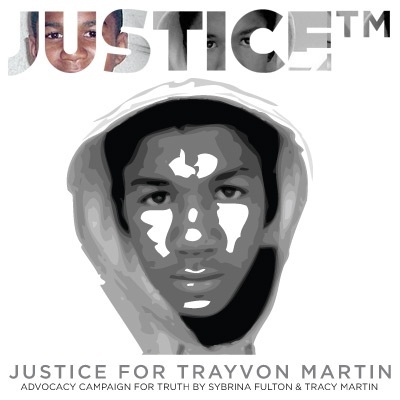 Nor am I a Trayvon Martin supporter, though I am sorrowful that his young life was cut short. This isn’t a team sport, and it certainly isn’t a game. Those who have used this sad tragedy to divide, polarize and demonize belong on a splintered spit in Hell. I have pleaded for an honest, rational, fair justification, other than raw emotion, for the indignation over this case, requiring only that the facts cited actually apply to what happened in Sanford, and not a litany of racism through the centurues. I haven’t received them, and that is because they don’t exist.